There are plenty of resources for finding a place to live! Once you've confirmed that you'll be visiting the U.S. for a cultural exchange program, you'll need to find a safe place to live. Although InterExchange cannot secure housing for you, we've listed several resources on our website to help you find housing. Visit www.InterExchange.org/american-culture for more information regarding housing, and look up the state where you'll be living during your program. During the travel period of your program you may choose to travel in the U.S. on your own itinerary. You will find there are many places to stay around the country that will satisfy all budgets and preferences. Below we have compiled a list of accommodations that have been recommended by other budget travelers like you. If you happen to stay in a hostel or hotel that you particularly enjoyed, please let us know so that we can include it in future editions of this handbook and share it on our blogs and website. There are also many hostel reservations websites that may help you find hostels in cities not listed here. Below are just two examples of popular websites you might find useful when planning your travels. 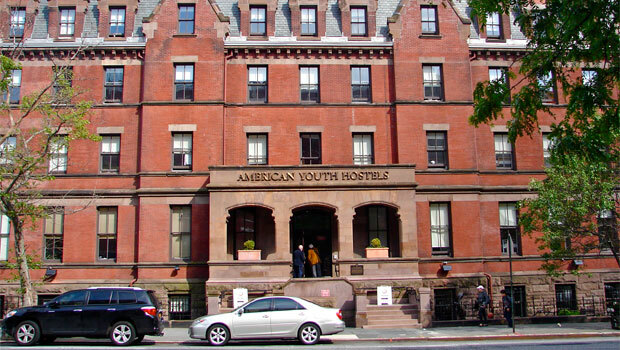 Hostelling International (HI) has a branch in America called the American Youth Hostels (AYH). If you have an HI card from anywhere in the world, it will be accepted at any AYH. If you are not a member, you may become one by contacting the headquarters in Washington, D.C. You can make advance reservations and pay with a credit card by calling the AYH toll-free number, 1.800.909.4776. For a guide to Hostelling International hostels both within the U.S. and around the world please visit their website. This will give you a list of more than 4,000 hostels worldwide that are a part of the Hostelling International Federation. If traveling outside the U.S., make sure you read the section on Exiting and Returning to the U.S. and comply with all rules that may affect your status.